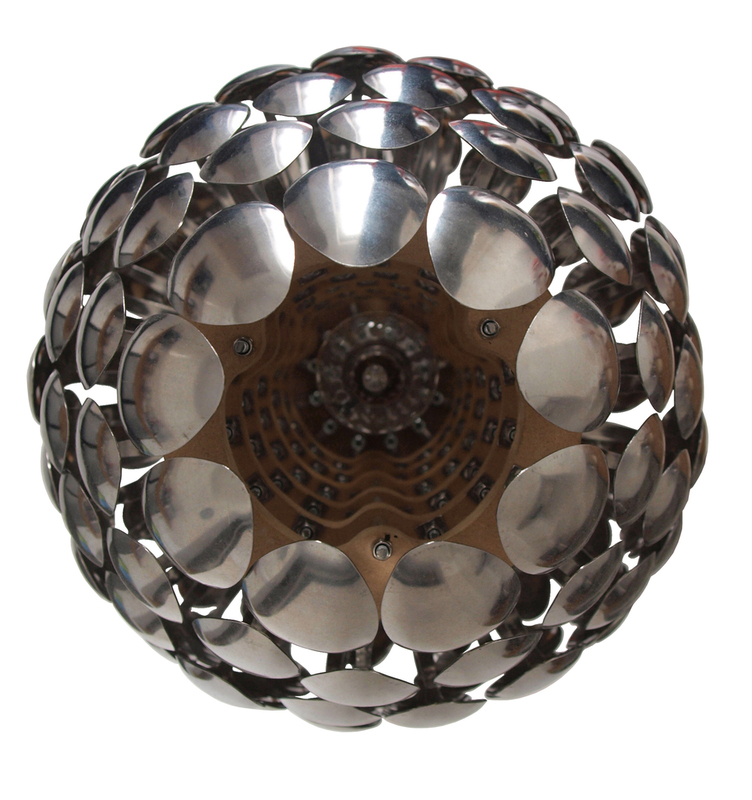 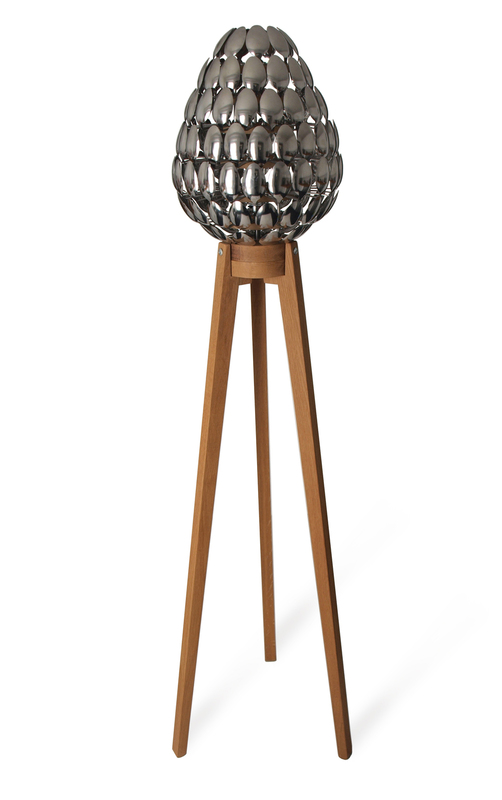 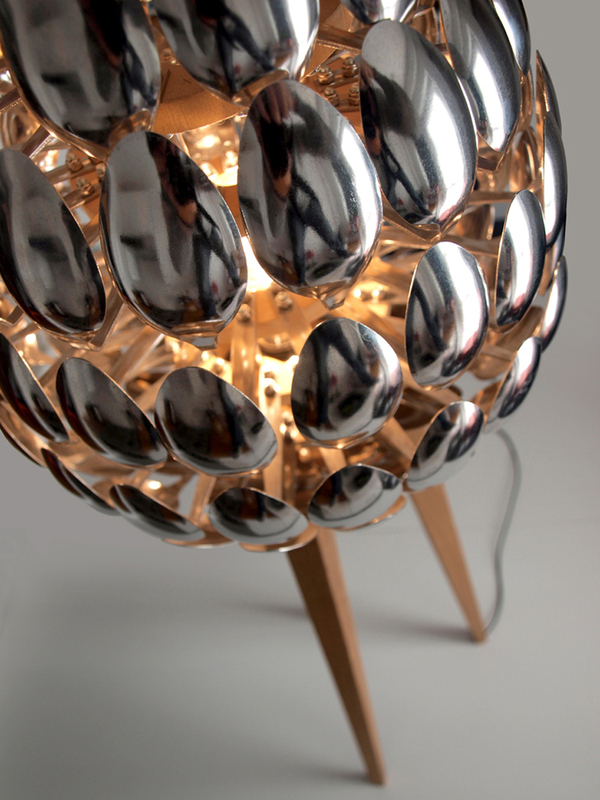 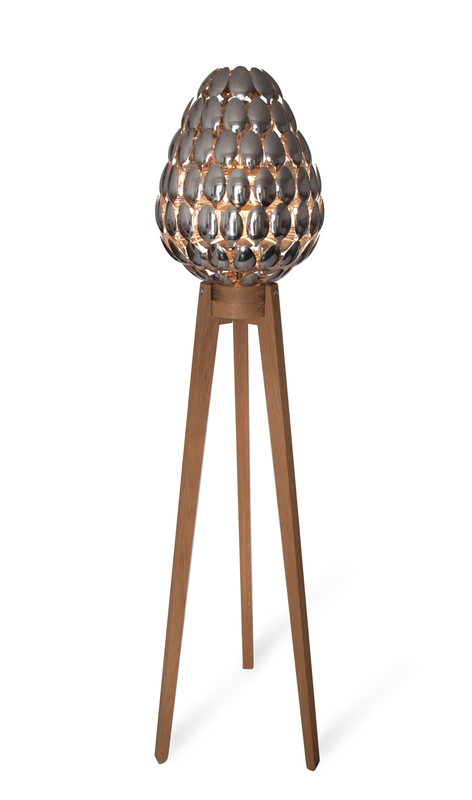 The 'Spoon Lamp' was originally inspired by giant pinecones discovered when visiting Yosemite National Park, California. The Lamp is essentially composed of 115 stainless steel dessert spoons mounted on a delicate yet robust solid oak tripod. 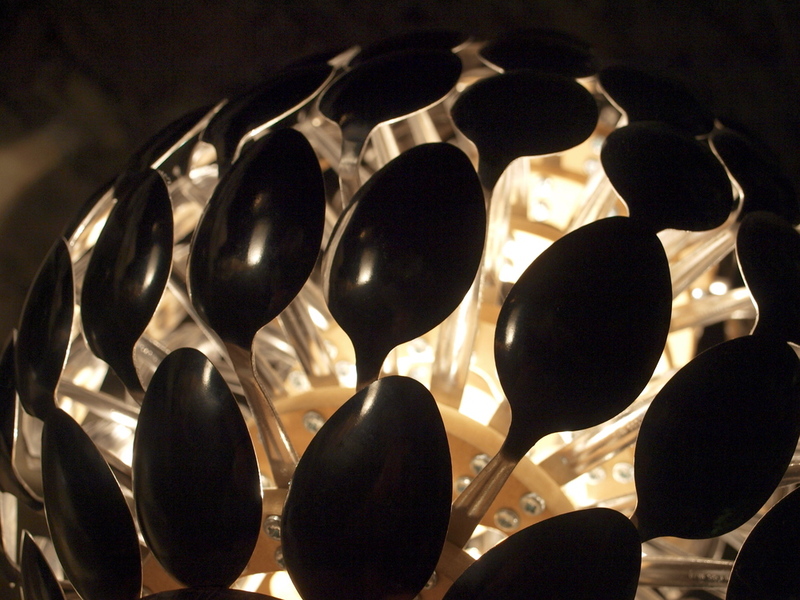 Each precisely cut and angled spoon radiates from an internal wooden disc.Seven individual disc levels are separated accurately to create the overall elliptical profile. 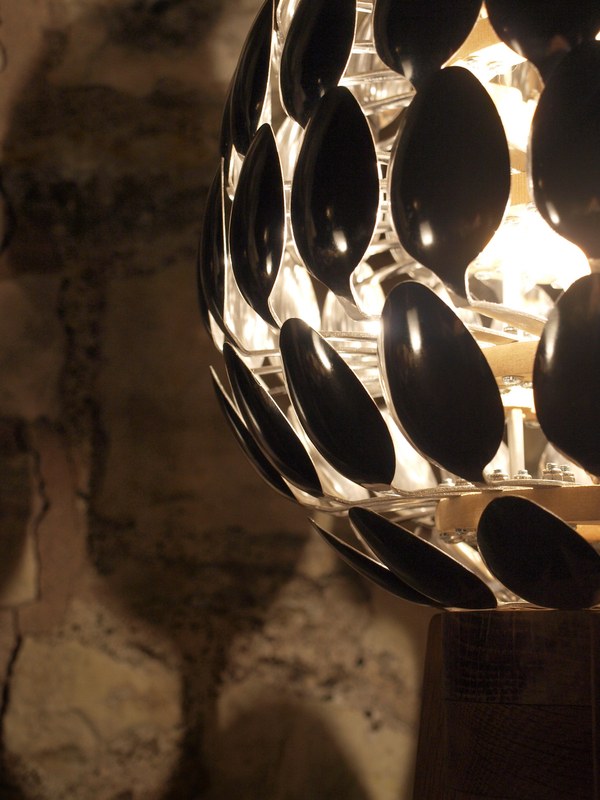 The lamp was designed to be a captivating object with or without the internal light source. 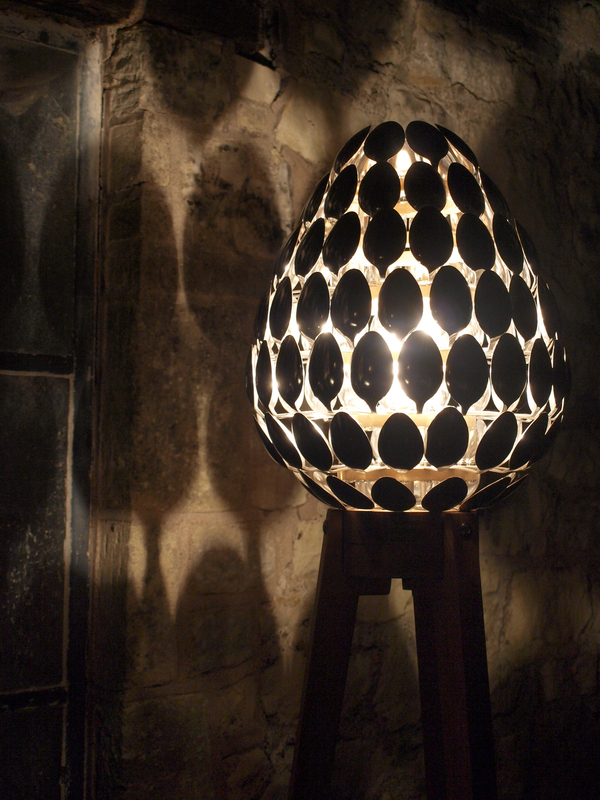 Once illuminated, warm light scatters from the lamp projecting ovular shaped silhouettes onto its surroundings. 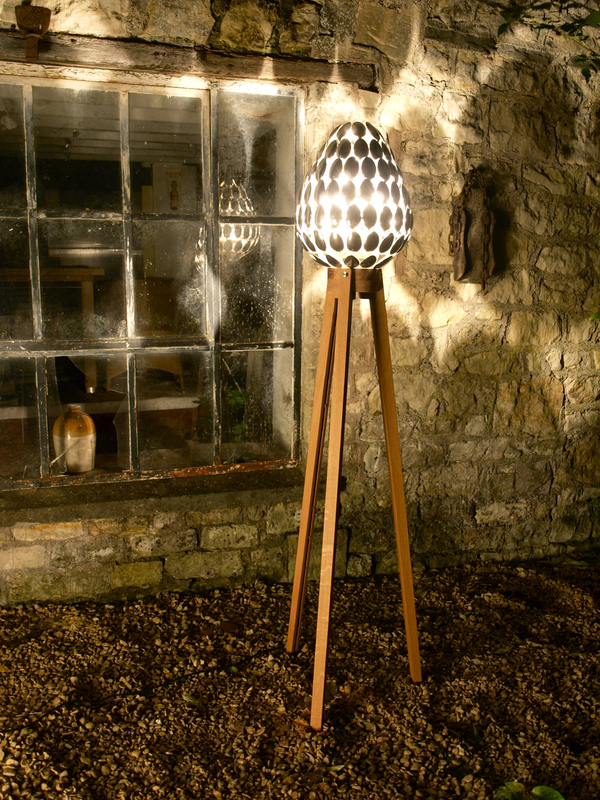 Solid Oak, Plywood, Stainless Steel, Aluminium.